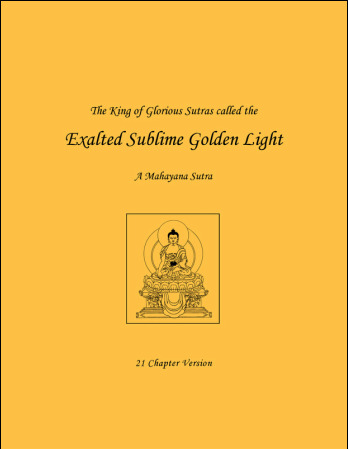 Join us in reciting the Sutra of Golden Light. ​One of Kyabje Zopa Rinpoche's vast visions is for students of the FPMT to recite this sutra for world peace. He has said that "this text increases success and, especially for leaders like kings or presidents, brings success in guiding in virtue, the path to happiness. In whichever country this is taught, the whole country benefits." During this US election cycle, let's gather to pray for the most beneficial leader to manifest for world peace. Rinpoche also said that "anyone who keeps, memorizes or contributes to this text exceeds the eight worldly beings and all their wishes get fulfilled. Buddha told the four guardians to make offerings and serve this text, and always protect the people who memorize or even just read it. The four guardians acknowledged they would protect those who read it and would help and fulfill all their wishes."